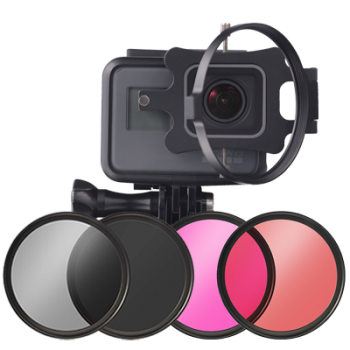 The B+W filter sets for the GoPro standard housing take videography to a new level with the little action cam. When shooting under water, light and color conditions change signifi cantly, beginning at a depth of only a few meters. Because they fi nd them fast and easy to operate, many amateur divers use action cams such as the GoPro camera models Hero 3, Hero 3+ and Hero 4 with a standard housing that can withstand water depths of up to 40 meters. 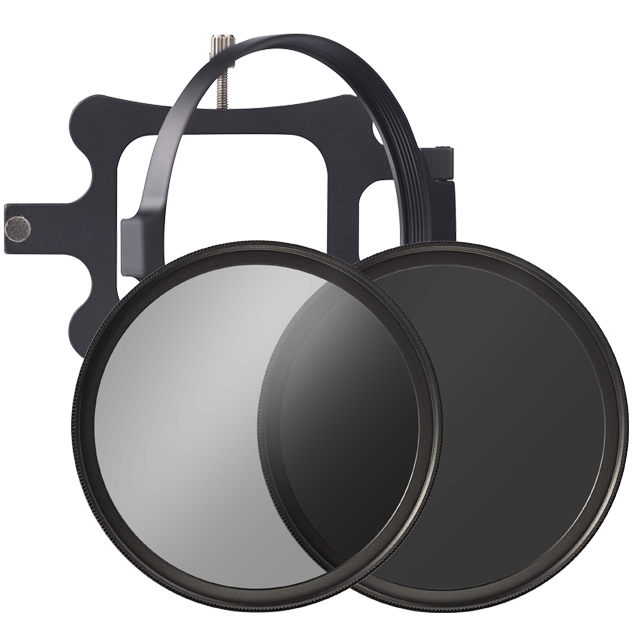 It is precisely for these cameras that we provide B+W filter sets. The B+W filter mount is slid onto the GoPro standard housing and fi xed with two screws. The front folding frame allows the mounted filter to be swung in and out simply and quickly – ideal for switching from underwater to surface shots. The folding frame has a magnetic clip that prevents the fi lter from being folded away accidentally. The filter adapter is designed so that the complete filter unit is immediately surrounded by water when diving. There are no unwanted bubbles, and fi lming can begin immediately. The filter mount accommodates filters with a diameter of 58 mm. 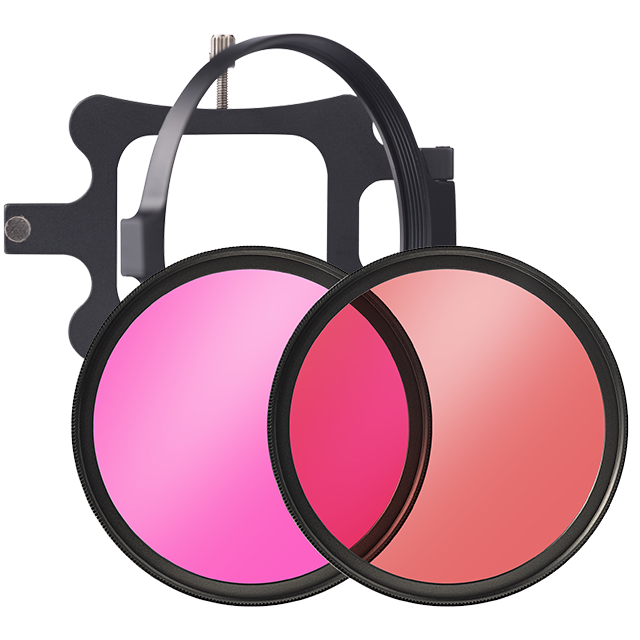 For underwater shots we offer a set consisting of a filter mount plus red and magenta filters. The red filter compensates for the color cast in blue water and the magenta filter in green water. Using underwater filters improves image reproduction and simplifi es subsequent image processing. Gray and polarizing filters should be standard items of equipment when shooting outdoors. A gray filter evenly reduces the amount of available light, thereby allowing longer exposure times – for unique shots such as wipe effects and motion blur. The polarizing filter reduces unwanted reflections and increases contrasts. "B+W Filters compatibel with GoPro"